The AC Hose Manifold and Tube Assembly consists of the AC Discharge and Suction-side hoses. The discharge side, also called the high-pressure side, consists of the AC compressor and AC condenser. The compressor compresses the gaseous low-pressure refrigerant. The compression process generates heat and increases the temperature of the refrigerant. The condenser removes the heat from the high-pressure refrigerant. The discharge side hose connects the compressor to the condenser. It carries the highly-pressurized refrigerant from the compressor to the thermal expansion valve. The suction side, also known as the low-pressure side, includes the thermal expansion valve and the evaporator. The thermal expansion valve regulates the flow of the refrigerant into the evaporator. The refrigerant now absorbs the heat in the passenger cabin, and cold air is fanned out of the air vents to cool the cabin. The suction side hose conducts the low pressure refrigerant from the evaporator to the compressor. The hose and tube assembly is prone to wear and leakages over time. If hose is damaged or leaky, it will result in a lowered efficiency of your air conditioner. If you find refrigerant pooling under your car or if the air coming out of your vents is not cool enough, it is a likely indicator of a leak or defect in your AC Hose and Tube assembly. Leaky high-pressure hoses can also result in the refrigerant splattering on the nearby parts. You should regularly check your AC hoses for leaks and defects, and replace them if they are damaged. 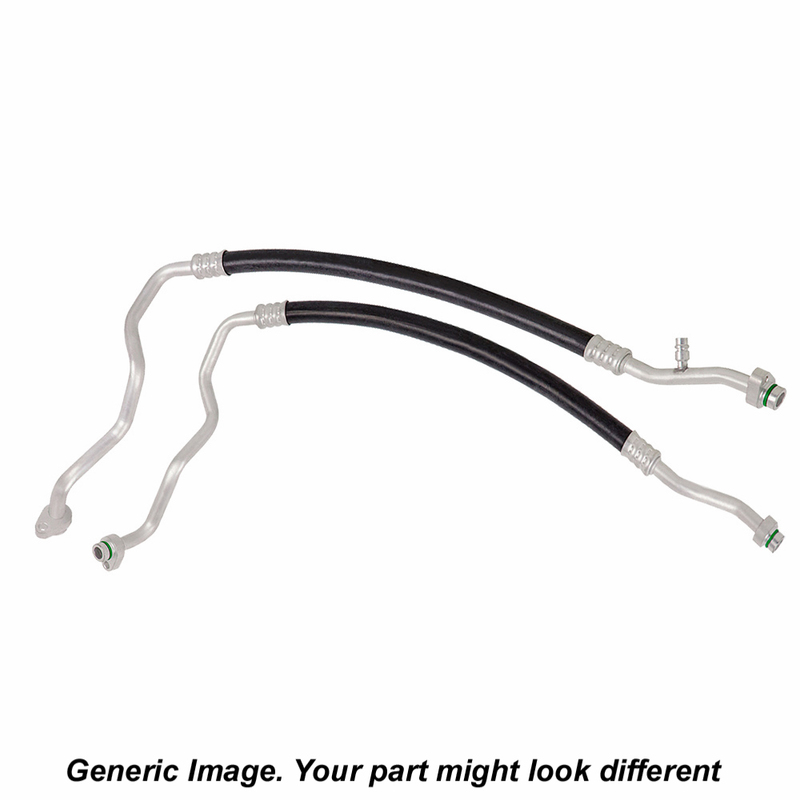 At Buy Auto Parts we stock a wide variety of AC Hose Manifold and Tube Assemblies for every car make and model. We have genuine OEM replacements and premium aftermarket parts. All our car parts are thoroughly tested and come with a warranty. To view the parts that fit your vehicle, select the right year, make and model of your car on our online catalog. At Buy Auto Parts you will find high-quality AC Hose Manifold and Tube Assemblies at unbeatable prices, and free shipping. If you have any questions about our car parts, call our toll-free support line 1-888-907-7225 or email us at [email protected].